Here's the front of the Twist sweater so far. I placed the cable off center and decided not to frame it with any garter stitch. 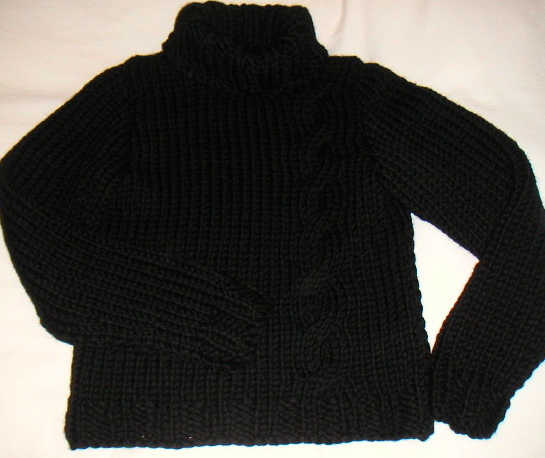 I wanted more continuity between the sweater and the cable and I thought the garter stitch distracted from that. It's knitting up quickly on the fat #17 needles. I hope to have the front and back done by the time the weekend is over!